mwe3: Can you tell us where youre from? Where do you live in New York and what do you like best about it? Does the city still have the magic for you? 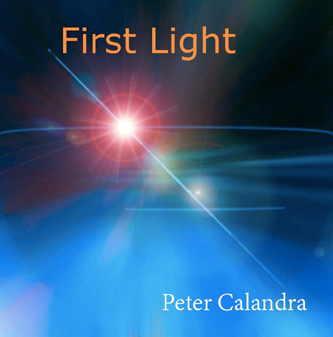 Peter Calandra: I was born in Brooklyn and raised on Long Island. I currently live on the Upper West Side of Manhattan and also have a place up in the Catskills. I spend most of my time in town and then weekends in the summer upstate. I like having the contrast between the wild energy of the city and the calm beauty of the mountains. mwe3: Your 2015 CD First Light is a great music soundtrack for an imaginary movie. Is that how you see it? Did you have a musical goal and what was your approach during the writing and recording of First Light? Peter Calandra: Thank you! I always think of my music as telling stories in sound. The approach for this album was to focus on being an album of music that has piano as part of an ensemble rather than to have compositions based around my piano playing. While there are piano centric tracks and the piano is the lead voice in many of the songs, its all done in the service of the music not to show off my piano playing. After a good portion of the album was finished, I actually filled it out by reworking several cues from films I have scored over the past few years that fit into this concept. For example, Night City is a cue from an ESPN film as is Inner Secrets. mwe3: How would you compare First Light with your earlier albums? How do you find that your music has improved or has evolved over time? 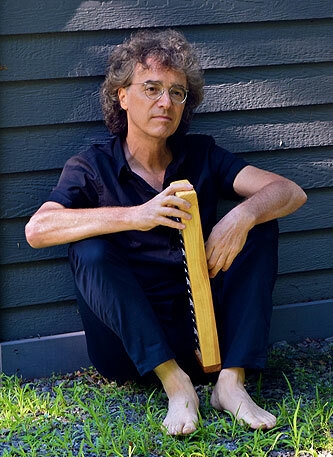 Peter Calandra: The music on this album has a more consistent tone from start to finish. I also like the way the music flows from one track to the next on this album. 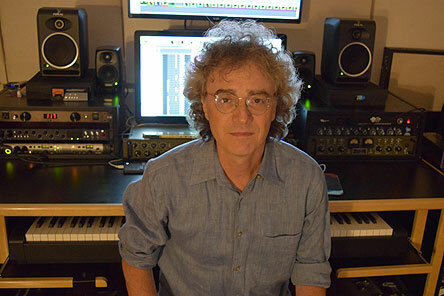 In my other life as a film and TV composer, scoring to picture and having music aid in the unfolding of a story has greatly changed the way I write music. The other aspect of the film/TV world is the discipline needed to create large quantities of quality music in a short period of time to meet deadlines. In order to achieve this, one needs to develop strategies for getting in touch with the creative flow at will rather than waiting for inspiration to strike. For me this meant learning how to let music flow thru me with as little interference from my rational thought as possible. Having modern technology available for recording has really helped this as the computer has become an instrument I play to help create and record my compositions. For example I wrote and recorded the FOX FIFA World Cup Theme in 8 hours. Start to finish for the entire composition, which will be on air until 2026. I was in a zone where the music just flowed out of me. Time seemed to stand still and I captured all of it right into my sequencer. I handed it in and won the gig with no changes to the music, which is a rare thing in broadcast media. That is something I could not do 15 years ago. mwe3: How many albums do you have released on CD and how many digital only? Its kind of sad to see the digital download supplant the physical CD especially as you did such a great job on the First Light CD sound and packaging. Peter Calandra: Thank you. I really enjoy the process of recording music. I engineer all the music on my albums. Part of getting a great sound however, has to do with getting great musicians. You can just put a mic up and it sounds great straight off. I am friends with some of the best freelancers in NYC and it is an amazing experience recording them. Even with the signal loss due to MP3 compression, the care taken in recording and mixing the album still makes a difference to the listener. 4 of my albums are available on both CD and MP3. 3 albums are digital only. Albums I am promoting usually get made into CDs to send around and albums that I am just releasing are just made into digital. Its purely for economic reasons as I am a self-funded artist. mwe3: How would you describe your own music? New Age jazz with a futuristic beat? Soundtrack jazz? You must have had a lot positive feedback from listeners. Peter Calandra: I actually have an aversion to describing my music in stylistic terms. I think when one does that it puts the music into a small box and, even if its just on a subconscious level, limits ones creativity. What I will say is that it is my intention to create music that allows the listener to go on an aural journey and create space for the music to let emotions flow and touch their heart. mwe3: What artists and albums in pop, jazz and classical inspired you early in your life to want to make your own music? What artists do you feel are breaking musical ground in 2015? Peter Calandra: As a young student, I was heavily into the 1960s jazz pianists. Chick Corea, Herbie Hancock, Bill Evans, McCoy Tyner and Keith Jarrett. I also love John Coltrane, Miles Davis, The Beatles, Pete Townshend, Peter Gabriel. I also love music by Bartok, Stravinsky, Bach, Chopin, Debussy, Arvo Part, Górecki, Steve Reich, Copland and many others. I also love roots music, blues, Indian raga and many other kinds of music. I try not to listen to many contemporary artists, as I do not want my music to be influenced by anything out there now. mwe3: Who were the key musicians who played with you on the First Light album and what engineers and producers helped you achieve your sound in the studio and on the CD? Peter Calandra: All of the musicians played a key role on the album. Ralph Farris, Junah Chung, Ragga Petursdottir and Peter Prosser on strings. Dave Weiss, Kathleen Nester and Julia DeRosa on winds. Also a great help was Joy Askew who sang all the choir parts. I engineered and produced this album and all my albums. I co-mixed the album with the great Ken Freeman who also mastered the album. mwe3: What are some of your favorite keyboards and guitars that you played during the making of the First Light album? The studio sound of the CD is very high-tech but very accessible too. 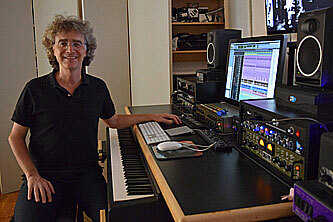 Peter Calandra: I used all software synths on the album that I sequenced in Pro Tools. I played acoustic guitars by Martin and Guild and the electric guitar is my Telecaster. I played a Yamaha C7 piano. mwe3: What are some of your favorite soundtracks and TV music works that you composed music for? Do you have other projects upcoming for any new TV shows, theater or soundtracks and has any of the music you wrote and recorded for these shows been recorded for possible CD release in the future? Peter Calandra: My favorite soundtracks are for the films Jellysmoke, Unknown Soldier, Rise 1961, Coach Bernie and BearCity2. My favorite 2 TV compositions are the FOX FIFA World Cup Theme and also ESPNs 2015 Special Olympics World Games , themes which ESPN has recently submitted for Emmy consideration. The BearCity2 soundtrack is up on iTunes now. Jellysmoke and Unknown Soldier were released by Moviescore Media but are no longer available. mwe3: Who are some of your favorite movie or theatrical soundtrack composers and why? 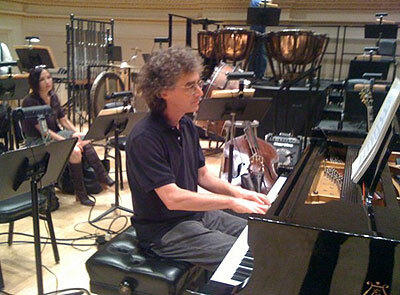 Peter Calandra: My favorite composers are Bernard Hermann, Elmer Bernstein, Jerry Goldsmith, James Horner, Danny Elfman. Almost anything by these composers is fabulous. mwe3: What other plans do you have for 2015 and 2016 as far as promoting your music, writing new music, recording, teaching at the Aaron Copland School Of Music at Queens College and other activities? Peter Calandra: As far as other plans, right now I am scoring some of the short biopics for this years Kennedy Center Awards Honorees, and there is another 30 for 30 film for ESPN Ill be starting in mid January. Im also hoping to release another album in 2016 as well. Im just getting the direction together for that. Im thinking it will be a piano trio album with some guest soloists. As far as teaching at ACSM goes, Im busy this semester with an advanced Audio/Midi class, a film scoring class and private graduate level composition students. All that plus regular subbing work on Broadway keeps me pretty busy. It gets hectic at times but I love it all and count my blessings daily!